Please post your questions and any issues you have with the Fall 2011 pre-sales in this thread! How can I find the ticket pricing (presale) for the Louisville Palace show is November? 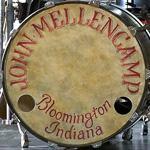 On the Mellencamp.com Tour page, click the little blue icon on the right end of the row for the Louisville show, that takes you to the show detail page which has all of the prices. Can you tell me if there will be fan club seats available in the first 10 rows if we don't purchase the Premium Package for Grand Rapids? Thanks! "-somedays I still don't know what to do-"
If you do not purchase the VIP package is it still possible to get seats within the first 10 rows? For all of the previous shows I have bought the VIP package, but I really don't need all of the stuff that comes along with it now (since I have several sets). Bottom line, are there still good seats available without purchasing the VIP package (and would this include 1st and 2nd row seats)? There should be some available but depending on the size of the rows there probably will be more Premium Package seats in those rows than just $125 tickets. There should be some available but how many depends from venue to venue based on how many seats are in the rows and other factors. I don't get access to the seating manifests so I never know exactly how many tickets are available in each type in the pre-sale. I saw that we don't need a password if we are buying the premium packages. BUt it looks like the websites are asking for a password. Are the premium packages on sale at the same area as all other tickets? You are not SUPPOSED to need a password for Premium, that is how we ask the venues to set it up, however, when the ticket sellers are not ticketmaster.com sometimes the setups get very weird and a password might be required during the presale period. I'm new to this...my wife is really counting on me to come through with good tickets. Where will I see the presale password, and what time is it usually displayed. Thanks in advance. Indy is coming up with no tickets availible. pass is as shown on tour page. got on at 10 am for pre sale tics,used password and it tells me no tickets available..WTF??? Ticketmaster is saying no exact matches were found, but other tickets may still be available. What is going on? Are only the $250 available today? I want the $125 tickets. grand rapids is not showing pit tickets!! !